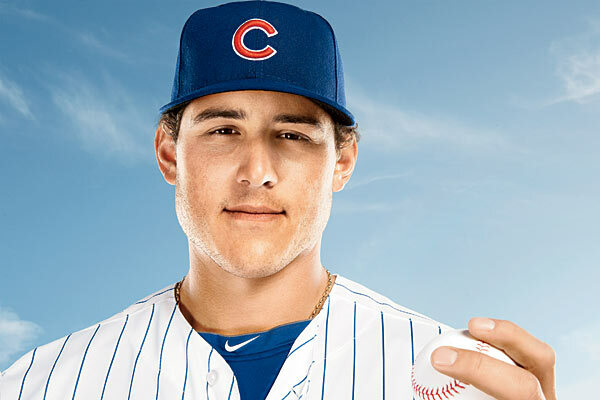 Anthony Rizzo entered 2013 with high expectations as the Cubs Opening Day First Baseman. He has come along way since 2008. The man has battled injuries, 2 team changes and has settled down in Chicago to be one of he most promising young power hitting prospects in the MLB today. He could end up being a 35 – 40 HR, 100 RBI man in the ‘Windy City’ – and this would make him an icon at Wrigley Field. Recently he signed a 7 YR/ $41 MIL extension and will be a vital part in the rebuild of this franchise. He is hitting for a 3 Slash Line of .263/.324/.829 – with 10 HRs and 35 RBI in 50 in 50 Games in the 2013 season. You guys are all in for a treat. Jeff Kleiner recently contacted me about a partnership merge for the website. He has developed a site (prosportsrosters.com) that covers all organizational affiliates in the Minors for all of the Major League Baseball Clubs. We are going to combine efforts to bring you the best look at salaries, current 25 Man Player Rosters and Depth Charts for all 30 teams. Jeff is going to provide the documents in form of spreadsheets and I am going to accompany the posts with deep analysis of what the numbers tell us from my perspective. If you can’t wait for all of my assessments for each club, go and visit Jeff’s website over at http://www.prosportsrosters.com. In Speaking with Jeff, he is one of the more passionate fans I have come across towards the game of baseball. He spends enough time in updating his MLB Facts for it to be a Full-Time Job. So after the usual Video Clip and READ THE REST OF THIS ENTRY button, you will find some serious &*!@?!#! Jeff updates this page below on a daily basis. After you click on it….Bookmark it. There is a 3 year salary forecast and stats not listed here on this page. Jeff updates these pages daily and these changes include any Roster moves! In 2012, Chuck Booth attended a complete game in all 30 MLB Parks in just 23 calendar days, click the image of he and Larry Lucchino to read all about it.